"A remote resort, featuring a luxury marina where Super Yachts are often spotted. " A gorgeous harbour town that is quickly becoming a vital part of the Montenegrin Riviera, Tivat combines the stunning blue waters of the Adriatic, with a plethora of great things to do. Much of its rise in popularity is thanks to the development of Porto Montenegro, which has developed from the former historical naval facility and nowadays presents a state of the art holiday spot. The town is centred around the recently developed marina, which now plays host to an array of boats, which has transformed it into one of the most popular destinations in the Adriatic. This coupled with the range of adventure sports on offer, such as zip-lining across the second deepest river canyon in the world, along with its gorgeous mountain scenery, makes it the perfect place for a coastal city-break. A picturesque coastal town, Tivat is located in the southwest of Montenegro, in the beautiful Bay of Kotor. It is famous for its beautiful beaches and vibrant marina. The town is fairly old and is renowned for its renaissance architecture, including the famous House of Buca in the centre of the city. Tivat is fairly small with a population of around 15,000, making it perfect for those who want to have a peaceful city break kind of holiday close to some stunning natural scenery. Tivat has a pleasant central European climate, which is hot during spring, summer and early autumn and wet during late autumn and winter. 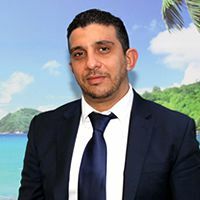 The hottest months of the year are June, July and August, when temperatures average above 25 degrees and the seas are warm, while the late spring and early autumn are also warm, making it a good place to visit during the majority of the year. Those visiting between November and February should expect a cooler and wetter climate. Originally a small Illyrian town in ancient times, it fell under Roman dominion around 200 BC. Roman rule was kind to the town with the economy booming during the period. It fell under Serbian influence following the retreat of the Romans, a period when many of the churches in the town were built. By 1420 the area, like much of the Adriatic Coast, had come under Venice’s influence and the town owes much of its renaissance architecture to this period. Upon the fall of the Venetian Republic power was transferred to the powerful Austro-Hungarian empire, which lasted until the foundation of the new Yugoslavian state after the second world war. For families who are looking for a relaxing beach holiday, set in a beautiful, quiet and rustic town, Tivat is ideal. The town is renowned for the quality of the watersports on offer, with things like jet-skiing, kayaking and snorkelling all available in the town. Another great option, is the chance to visit the historic city of Kotor, famed for its incredible architecture and vibrant atmosphere. Adventure-seekers who want to have some heart-pumping fun in Montenegro should visit the deepest river canyon in Europe (the second deepest in the world), where brave visitors can zip-line across its terrifying depths. Several companies also offer the chance to go rafting along the Tara River, where visitors can bounce along the pulsating rapids, getting soaking wet, but having fun at the same time. For those seeking a more relaxing time, the bustling, newly-built Porto Montenegro Marina, has a plethora of restaurants and shops, where you can enjoy a quiet drink close to fluttering sails and amazing scenery. Thanks to its small size, it is the ideal place to enjoy a night out with friends: everywhere is easily accessible on foot and there are plenty of pubs and clubs, thanks to its status as a tourist hub. For those seeking a party, the place to head is the town centre, where you will find a large number of clubs, including: Madame Coco, My Club and The Clubhouse. 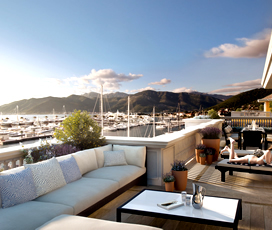 Slightly further afield is the Platinum, which is in Porto Montenegro. The town also plays host to numerous trendy cocktail bars, where visitors can enjoy a quiet drink with a magnificent view. The town has various shops offering fashion items from Montenegro or around the world. Most of the shops are centred in downtown Tivat, where visitors will find boutique outlets or more famous names. There is also a bazaar in Tivat, where visitors can purchase various local items, including: purses, leather items and much, much more. Suffice to say, Tivat has enough shopping to cater to each and every taste.